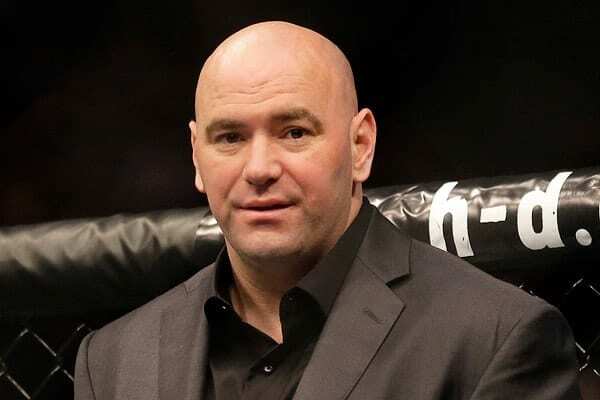 Dana White addresses booking a vacant flyweight title fight between Valentina Shevchenko and Sijara Eubanks for the UFC 230 pay-per-view event. 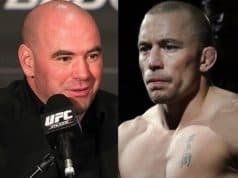 Once this fight was reported online and later confirmed, fight fans around the world, as well as media members, went nuts as this fight was an odd choice. 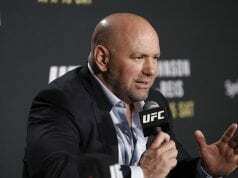 Thus, when the UFC President had to address it in a recent interview with Brett Okamoto of ESPN, it was quite the scene to see him explain it. 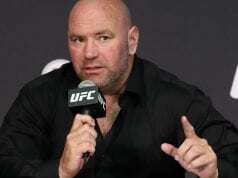 All of the uproars about it was due to the situation that the UFC found itself. First, you had a fight that the fans wanted to see in the headlining role, which was Nate Diaz fighting Dustin Poirier in a lightweight bout. You also had the fact that Shevchenko was supposed to fight former UFC women’s strawweight champion Joanna Jedrzejczyk, at the UFC 231 pay-per-view event. By booking this flyweight title fight at UFC 230, not only did the UFC not give fans what they wanted with Diaz and Poirier but also nixed the UFC 231 fight as well. At least in the eyes of White, he appears quite happy with making this fight in the main event. He also made it clear that he has made sure that Eubanks will be able to make weight and to the Octagon for this title fight. Regarding not making Diaz and Poirier the headliner by creating a 165-pound division and giving them a vacant title fight, he says it was never a consideration.